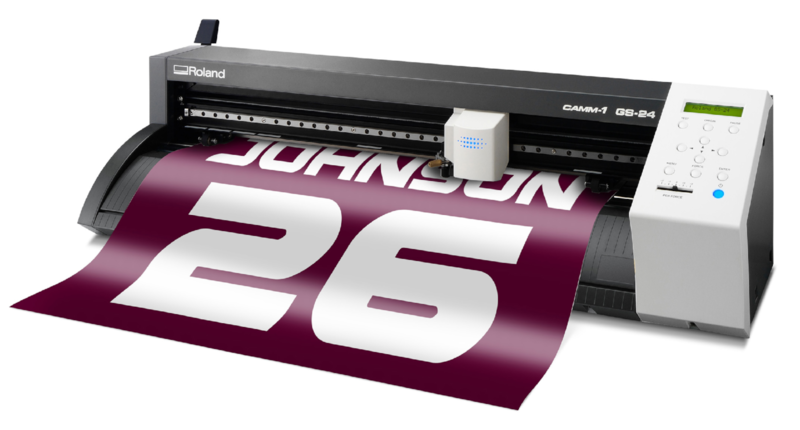 The Roland GS-24 is the latest 24" vinyl cutter from Roland. It features increased cutting down-force (350g) and software feature improvements (overlap cutting) compared to the previous GX-24 model. 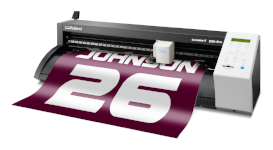 The GS-24 also features a 3-year warranty and an included stand for the machine. The GS-24 comes with Roland CutStudio (PC based) for designing cut patterns, and there are two plugins that allow for use of Adobe Illustrator (PC, MAC) and Corel Draw (PC) to drive the CutStudio drivers.